Episode 050 CONTRAST - Usama Siddiquee: "Contrast is the basis of all humor" – Let's Talk About Sets! Episode 050 CONTRAST - Usama Siddiquee: "Contrast is the basis of all humor"
SEE JEFF ON TOUR (4/12/19-5/11/19)! 50 EPISODES AND >100K DOWNLOADS! Thank you to everyone who supports and listens to our show! And thank you to all of our guests and interns who’ve contributed their time and expertise! And thank you SOOOO much to our Patreons and the listeners who’ve sent us tips to help support what we do! Former NYC comedy wunderkind, now a full grown rocket-to-the-top funny manchild, Usama Siddiquee, returns to the show to explore the central pillar of laughter, CONTRAST. The foundation of humor, contrast can be traced through every level of stand-up, from the overarching contrast between the audience reality and the comedian’s subversion of it–all the way down to contrasting something as simple as the speed with which the comedian delivers the material. When two things seem the same, and then they’re revealed to be different–humans love that! Suddenly experiencing differences in meaning, morality, scope, delivery, intensity, gravity, truth, etc. in a surprising way gives us the giggles. We talk about how to employ it, how it functions, and we laugh a bunch. Usama joyfully magics contrast into his material and into our recording. This is a funny one. 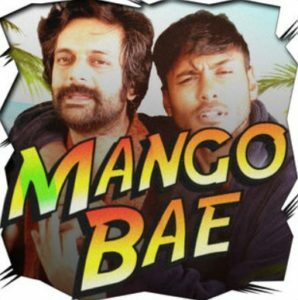 Texas-raised Usama Siddiquee is a stand-up comic, actor, podcaster, and light-speed comedy host. 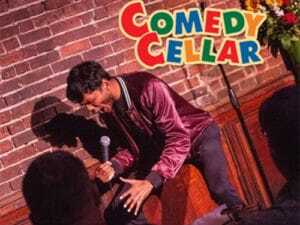 His high-energy comedy style and turbo-riffing can be seen all over the U.S., and since he was last on the show, Usama was passed at the prestigious Comedy Cellar comedy club here in Manhattan. He most recently traveled to Montreal as one of the New Faces at Just For Laughs in 2018. He made his standup television debut on BET’s 50 Central. He was a finalist for the 2017 NY’s Funniest Competition at Caroline’s; a finalist in the 2017 NBC Standup Competition; 1st place winner of the 2016 Laughing Devil Cup Comedy Festival in New York; the 1st place winner of the 2015 Yonkers Comedy Festival as well as the 1st place winner of the 2015 Make Me Laugh Albany Comedy Festival. Usama was also featured this year on videos for NBC, Buzzfeed, Refinery29, The Scene, Mic.com, FusionTV, and Huffington Post. Thank you, Eli DiSabato, our new Executive Producer in training! And thank you, Usama, I guess. Special thanks Nate Bargatze’s brilliant moronism, Andrew Schulz’s progressive unwokeness, and Demetri Martin’s adult whimsy. And, as always, who’s my favorite hip-hop girl group, huh?! Who’s my whittle special group? Yes you are, Salt N’ Pepa. And I just learned I was spelling your name incorrectly for a few years. But, retroactively, the misspelling was all part of the justifiably fair use of your hit song we’ve parodied beyond recognition.